In an earlier post on foreclosures in Houston neighborhoods, I discussed how foreclosures had seen an increase in the Houston real estate market. Although not at the alarming rate seen in other cities. Still, they do exist and they effect a wide variety of Houston home prices. It seems no Houston neighborhood is immune. So what is a Houston homeowner to do if your finances begin to get out of control or you can no longer make their house payments. If you are in this predicament, here are some valuable tips to consider! 10 Tips Every Houston Homeowner Needs to Help Possibly Avoid Foreclosure! This doesn’t surprise me, Forbes.com has once again recognized Houston by placing our city at position number 4 for “Cities Where Your Nest Egg Goes Farthest“. Also named to the list was our sister city of Dallas, Texas. In case you may have forgotten, Houston also made the Forbes list for “Best Place to Buy a Home” too. 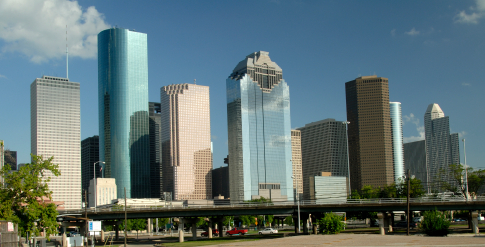 The Forbes web site gives their reasons why Houston made their list for a great place to retire. I’ll list those plus offer a few more reasons why I think retirement life in Houston will help you stretch your retirement dollars. After what has happened with everyone’s 401K, it’s more important now than ever before! Based on my previous post here at the Houston Fine Homes Community real estate blog, you already know foreclosures are now a reality in our Houston real estate market. The impact of foreclosure properties has been minimal to date. It remains to seen how these properties will impact future sales. Houston Real Estate Reality Check! While we all know the Houston real estate market has not been riddled by a massive amounts of foreclosure properties like the states of Florida, Nevada, Arizona and California. Every real estate market experiences its fair share of foreclosures and short sales and the Houston real estate market is no exception. Yes – The “F” Word is Used in Houston Real Estate! For many consumers just the mention of the “F” word, “foreclosure” and a wave of emotions and fears come to the heart and mind. And rightfully so! Frankly, I find there is a tremendous amount of misinformation in the market place about foreclosures. I also find there is a general lack of understanding and knowledge about the often used terms associated with foreclosure. Hence the reason for writing this post.